SURREY RCMP are requesting the public’s assistance in locating two brothers who currently have outstanding arrest warrants. Pavandeep Uppal is described as a 22-year-old South Asian male, approximately 6’2”, 146 lbs, with black hair and brown eyes. (see photo). Jasondeep Uppal is described as a 19-year-old South Asian male, approximately 6’3″, 155 lbs, with black hair and brown eyes. Both are wanted on charges of forcible confinement, kidnapping, assault causing bodily harm, and assault with a weapon. 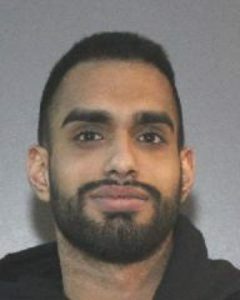 Jasondeep Uppal is also charged with one count of robbery. These charges stem from a targeted incident on March 6 where the victim was allegedly confined, assaulted, and then released. The victim sustained non-life threatening injuries. This was not a random incident and no further details will be released in order to protect the integrity of this ongoing investigation, police said. The Surrey RCMP is interested in any information related to Pavandeep and Jasondeep Uppal’s whereabouts. Members of the public are asked not to approach them and to call 911 if they see them. Anyone with information about the whereabouts of these people are asked to contact the Surrey RCMP at 604-599-0502 and quote file # 2018-31954. If you wish to make an anonymous report, contact Crime Stoppers at 1-800-222-8477 or go to www.solvecrime.ca.